CCTV cameras are now a common sight in shops, whether the convenience store in the village or one of the superstores in, or on the edges of, the big cities. This is hardly surprising, in view of the excellent work they do as a deterrent to crime, and also as a means of identifying and bringing any wrong-doers to justice. 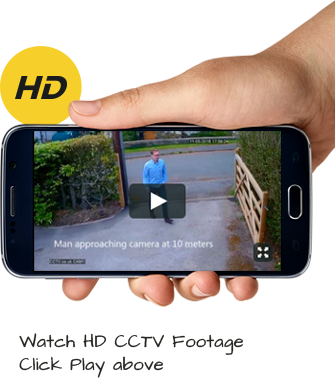 Would-be thieves are often put off by the presence of strategically-placed and visible CCTV cameras, which is step number one in the fight against crime, and those who take the risk are usually caught quite clearly in the recorded footage so that they are either seen and apprehended at the time, or identified and tracked down by the police later on. CCTV also offers protection for the staff and acts as a security measure for the owner, who is able to monitor any irregularities involving the work force. If staff know they are being watched there will be far less chance of them doing anything underhand and hey will be far more likely to give a good day’s work for a good day’s pay. Shoplifting, vandalism and malpractice by employees are all, therefore, subject to the all-seeing eye of the camera with the result that safety, security and protection is offered all round. There are many technological advances in recent years which have been of great benefit to shopkeepers and CCTV is certainly one of the most important. Call us for a free quote on 0800 211 8310 – our teams can work around normal retail hours if necessary, and our quotes are very competitive.